1. Assistant Manager (Corporate Communication) - Graduate in any discipline plus 2 years‟ full time Post Graduate Degree in Public Relations / Journalism / Mass Communication from any University recognized by UGC/ One year full time PG Diploma in Mass Communications / Public Relations / Journalism from Indian Institute of Mass Communication. 2. Junior Executive (Stores) - Graduate in any discipline from a “UGC” recognized university with 01 year PG Diploma in Logistics OR 01 year PG Diploma in Material Management OR 01 year PG Diploma in Logistics & Material Management OR 01 year PG Diploma in Supply Chain Management OR 01 year PG Diploma in Logistics & Supply Chain Management from any University recognized by UGC/Institute approved by AICTE. 3. 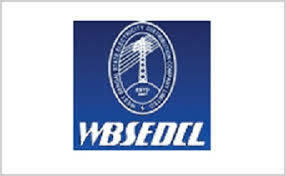 Junior Engineer (E) Gr.-II - Passed Full time 3 years‟ Diploma in Electrical Engineering from recognized Institute / College duly recognized by W.B. State Council of Tech. Education.